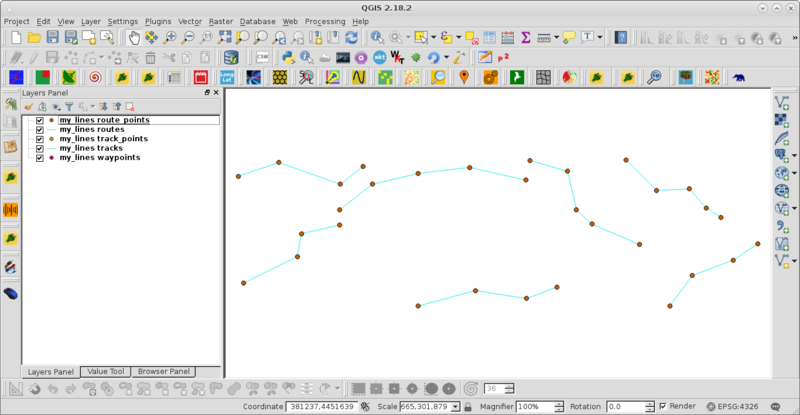 I have a GeoPandas geodataframe with LineString geometries and I'd like to export them into .gpx files as GPS routes. I've searched for hints in the web but found anything useful. Are there GeoPandas specific way to do this or from other packages like Shapely? When gpx layer is loaded at Map Canvas, it could be observed that it works perfectly. Not the answer you're looking for? Browse other questions tagged python gps geopandas pandas or ask your own question. How to calculate 'off track' error from GPS data?